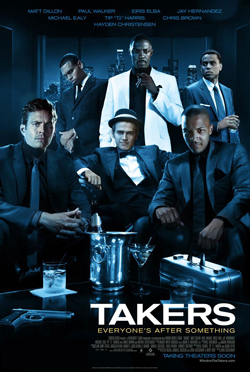 With high-powered action, the love drama of a soap opera and several twists, the movie “Takers” is sure to be a hit. When a former partner in a robbery team Ghost (T.I. Harris), gets released from prison, he is supposedly only seeking his share of money from the last heist that landed him in jail. His normally laid-back, bank-robbing crew reluctantly agree to do one last job with him. Idris Elba (Gordon Jennings) is the leader of this sophisticated bank robbing crew. Elba tries to keep the group together while facing family-spawned demons of his own. The use of Elba’s natural British accent in this movie is a beautiful element and seems to set off the diversity of the cast. Hayden Christensen (A.J.) delivers an action-packed performance as he reminds the audience of his ‘Jumper’ days mixed with a little bit of Jet Li. Zoe Saldana (Rachel Jansen) lacks screen time but is a nice addition to the cast and is very necessary to the plot. Saldana plays the girlfriend of Ghost in his pre-prison days but falls in love with Jake Attica, played by Michael Ealy. Chris Brown who plays Jesse Attica, is the youngest of these classy robbers. He delivers a surprisingly athletic performance. 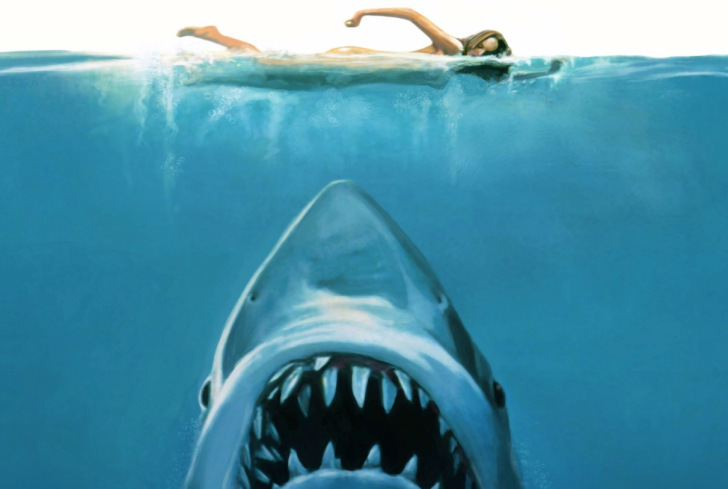 This is a great addition to the film and puts his character on a more mature level. Jack Wells (Matt Dillon) and Eddie Hatcher (Jay Hernandez) seem to be the typical good cop, bad cop duo. Wells is the burned out police officer with family and financial troubles, hence bad cop, while Hatcher is the typical good cop with good sense and reason. Wells and Hatcher make a good team in their fight against crime. But when Wells becomes obsessed with trying to crack the bank robbing case, he gets more than he bargains for in his quest for the truth. Although the crew feels Ghost’s intentions are not sincere, they continue on with their ill-fated quest for more riches. That’s when the once solid crew of upper class bank robbers are swept into a world of higher stakes, horrible risks and severe danger. Community Reporter Christy Johnson can be reached at staffwriter1@occc.edu.